The one-time world footballer is now the President of Liberia. The trailblazing never ends with George Weah. The one-time world footballer is now the President of Liberia. The iconic AC Milan goal-scoring machine and 1995 Ballon d’Or winner and now president of a West African nation, took to the pitch one more time on Tuesday 11th September 2018. This time, he occupied the player/president role on the pitch to lead his national team in a FIFA-recognized international friendly match against another west African country, Nigeria. At age 51 and president of Liberia, no better arrangement than this could be more honorable for the great legend to be part of activities to retire his number 144 jersey. He was given one more chance to captain his side and officially retire his number 14 jersey that many young upcoming footballers who adorned the jersey struggled to cope with. The Super Eagles of Nigeria and the Lone Star of Liberia squared up in the international friendly with thrills, excitement, and cheers from the crowd during the time the game lasted. The president/ Player may not have found the back of the net as he had always done with AC Milan, Chelsea, and Marseille but he surely did stay much longer on the pitch lasting about 79 minutes of the game. At about 52 and getting substituted at 79 minutes, it wasn’t surprising to see fans roar with cheers with a standing ovation to see the president out of the pitch for the night. A report has it that the same night the 51-year-old president made history as a player/president, his 18-year old son, Timothy also played for the United States against Mexico in the US. The Super Eagles of Nigeria came into the match with a strong squad to prove a point and they surely did even though it was meant to be a friend. Leicester City’s Wilfred Indidi and midfielder, Peter Etebo of stoke City including Kelechi Iheanacho were all in the list of players for the night. 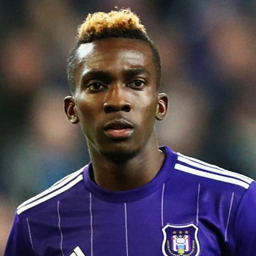 Henry Onyekuru of Everton but currently on loan at Galatasaray of Turkey opened the scoring for the Super Eagles of Nigeria before Simeon Nwankwo took the game beyond the reach of the Lone Stars to make it 2-0. 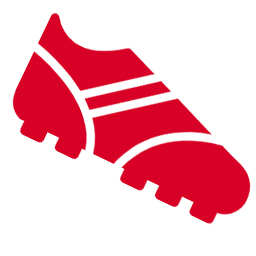 The Liberian Lone Star national team narrowed the margin with a goal from a spot kick by Kpah Sherman but it wasn’t enough for the night to save them from a home defeat. Nigeria went away with a 2-1 victory in the historic international friendly that saw the Liberian former national team captain and now president being honored and officially retired the number 14 jersey he wore for 16 meritorious years and scoring 22 goals for his country in major competitions, including the African Cup of Nations. 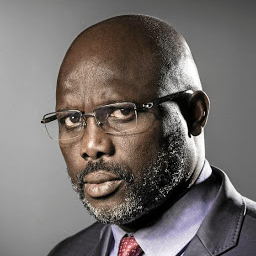 President George Weah of Liberia might not get a goal for himself in the night but the FIFA record books will have him as the current oldest football player to have played a FIFA-recognized match for a national football team. 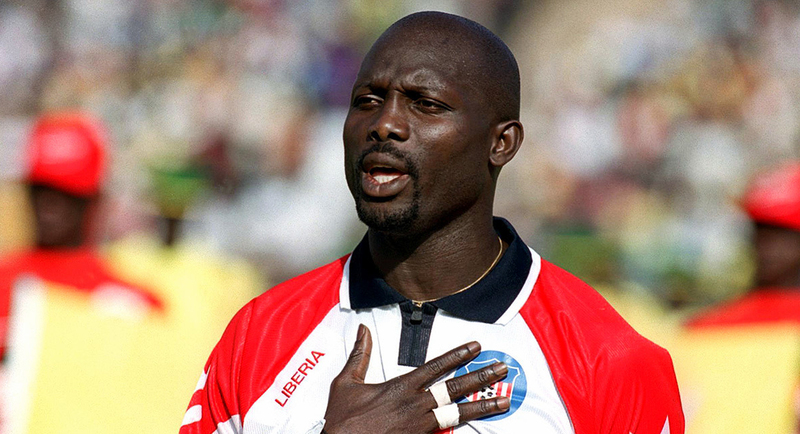 George Weah remains a legend in the annals of African football. The 2002 Nations Cup in Mali was the ground he bade farewell to international football back then. At the time, he had strongly desired the number 14 jersey he wore for 16 years to be retired not knowing the day will be more eventful and memorable as organized in the international friendly. He had told reporters at the tournament in Mali that he strongly hoped his No. 14 Jersey will be retired by the government to remember his contribution to football development in the country. These were his words. He was skeptical and never hid his doubts on the government about retiring the number 14 jersey he passionately wore and achieved with the Lone Star of Liberia. Ever since he retired from international football after the Mali nation’s Cup, several upcoming footballers who adorn the number 14 jersey have simply found it difficult matching the feat achieved by George Weah. Some went as far as dropping the number after some time of trying. There is always that pressure to perform. 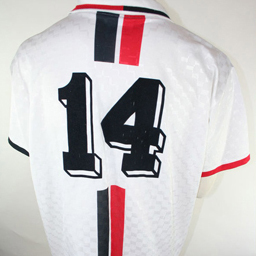 The fans have this strong connection to the number 14 jersey whenever it is worn on the pitch regardless of who is putting it on. Isaac Tondo of St. Anthony back then was seen to be better qualified to adorn the number 14 jersey after the 2002 Nations Cup when Weah bade farewell to the national team and international football. Unfortunately, Tondo couldn’t take up the challenge and it went from a player to another without finding one that it fits properly to carry on with the great foundation laid by Weah. Lafford who also starred for a club in the South African league also wore the number 14 jersey as a captain of the Lone Star but never went far enough to keep it. The clarion call from fans was enough for the football authority of the country to consider retiring the number 14 jersey which is synonymous to one man it fits well, George Weah, the current president of Liberia. It is indeed a dream come true for a great man who has achieved much for the African continent in the round leather game. He was elated to find the elaborate program put together by the Sports Ministry and the youths to finally retire the number 14 jersey he has worn in his meritorious football career for the small West African nation. Many former teammates of the legend and many other great international stars across the globe will gather to give a rousing honor to one of theirs who has continued to achieve in many spheres of life. From 1986 when he started adorning the jersey with a competitive match against Sierra Leon all through to date, the accolades keep pouring in for a legend and icon of African football.